The Hotel Central has 60 comfortable beds in single, double and triple rooms. Our modern and friendly designed rooms are equipped with flat screen TV and free internet access (W-Lan) as standard. Most rooms are quiet and some also have a balcony. All rooms are non-smoking rooms and can be reached by lift. In our lobby you have the possibility to use an internet terminal free of charge or to relax e.g. reading a newspaper. Enjoy a choice breakfast buffet in the morning, in summer also on our large breakfast terrace and strengthen yourself for further eventful days in and around Bamberg! Start the day freely according to Mark Twain: “Give every day the chance to become the most beautiful day of your life”. What is important to us: We mainly offer regional products on our breakfast buffet. We purchase sausages from the local butcher’s shop Konrad Böhnlein, which has already been voted Germany’s best butcher several times. Our breakfast eggs are delivered by Naturlandhof Lehner in Gülchsheim. These are top quality organic eggs. The Stuber Bakery, a second-generation family business, delivers fresh rolls every day. 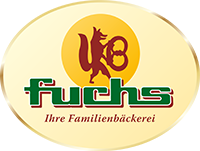 We buy the bread from the Fuchs Bakery, which primarily uses raw materials from Franconia and receives the DLG Gold Award for its bakery products every year. They live on vegan? Inform our reception and we will keep various products in stock for you! As a bicycle-friendly guesthouse, we provide safe and dry parking for bicycles in our bicycle cellar in the inner courtyard. After a strenuous cycling day you can also relax on our terrace. On request, we will take your luggage to your next destination.